Grace Baptist Church is committed to working with parents to help them raise the next generation of ministry-minded servant leaders. We want to stand with parents in their God-given task of bringing up children in the ways of God. We provide many ministries to meet these goals. We offer childcare at every Sunday and Thursday ministry so that parents can focus on the teaching of God’s Word. This ministry includes a nursery for infants through age three on Sunday. Our infant nursery is kept clean and fresh and is located down the hall to the left of the main foyer. Our ladies love to care for our little ones. On Thursday, we offer a nursery for infants to age 4. 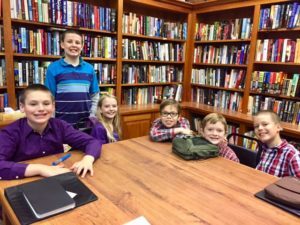 On Sunday afternoon at 1:30 PM, the children gather for 45 minutes of age-appropriate Bible study, in which we study the meaning of God’s Word and how it applies to various life stages. Energetic and enthusiastic teachers use colorful Bible story cards, activity books, and crafts to teach important Bible stories and life lessons. We currently have Toddler, K-5 through 1st Grade, Primary, and Junior classes for children. We use materials from the “Answers” curriculum from Answer in Genesis. Just before the preaching in the afternoon worship service, the children age 4-7 are led upstairs for their own Junior Church program. Parents can meet them in the foyer after the service. Teachers use colorful materials from Bible Visuals International. 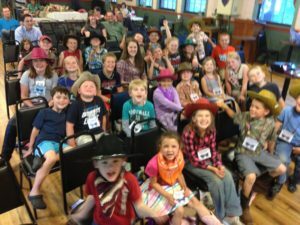 Our children’s “Patch the Pirate” ministry for ages 5 through grade 6 is designed to encourage the memory and application of the Bible to young lives through the ministry of singing. The children earn awards for faithful attendance and completing their Sailor’s Log devotional and Bible memory. Four or five times a year the children present a skit and song for the Worship Service. 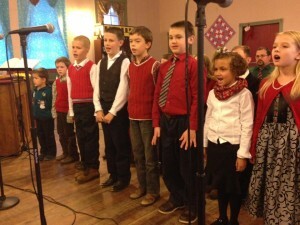 At Christmas, the children participate as a Melody Bell Choir.